Danger Will Robinson! The killer robots are coming! 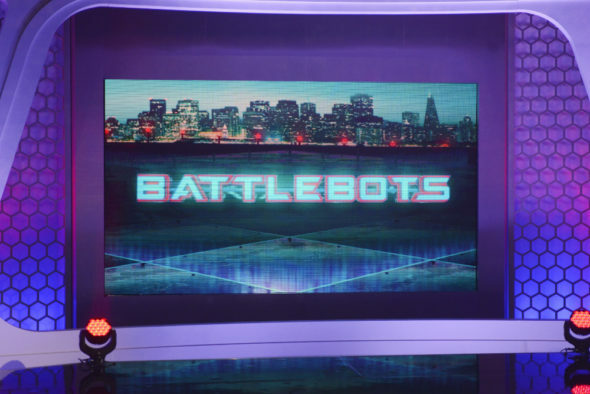 The second season of ABC’s BattleBots TV series premieres Thursday, June 23, at 8:00pm ET/PT. Chris Rose supplies the play-by-play. Kenny Florian provides color commentary. ESPN’s Samantha Ponder is hosting season two of Battlebots. Alison Haislip reports from the sidelines. Judging the battles are Fon Davis, Jessica Chobot, and a special guest judge for each round of the competition. Marvel’s Agents of SHIELD‘s Clark Gregg is the first guest judge. Faruq Tauheed serves as ring announcer. “BattleBots” is a reimagined take on the killer robot combat sport, from Whalerock Industries and the creators of the original “BattleBots” franchise, Ed Roski and Greg Munson. The homemade robots are back for season two, where they will battle against each other in a single elimination tournament until there is one champion. The ten episode series will feature next generation robots – bigger, faster and stronger than ever before. The show will continue to emphasize the design and build elements of each robot, the bot builder backstories, their intense pursuit of the championship and the spectacle of the event. While there’s only one weight class, there are a huge variety of deadly weapons. Forty-eight robots will enter, but in the end, only one will win the final trophy. Executive producers are Lloyd Braun, Chris Cowan, Edward P. Roski (Trey), Greg Munson and Aaron Catling. Are you a BattleBots fan? Do you plan to watch the second season? Let us know, below. More about: BattleBots (2015), BattleBots (2015): canceled or renewed?, Marvel's Agents of SHIELD, Marvel's Agents of SHIELD: canceled or renewed?